Just five days before the opening of Grand Central Terminal, Miles Bronson was appointed the General Manager of the New York Central’s greatest station. Born in India to missionary parents, Bronson returned to the United States for education and got his first railroad job at the tender age of fifteen. Appointed to the job of Grand Central’s General Manager at the 37, Bronson had worked for the New York Central for thirteen years, and he served as Grand Central’s general manager for 21 more years before retiring due to illness (he passed away a short time after). In my most recent endeavor with 3D printing (if you’ve been around a while, you may recall that my first 3D model ever was of Brewster station), I set about the task of making a Grand Central key as a gift for a friend who is a Metro-North conductor. 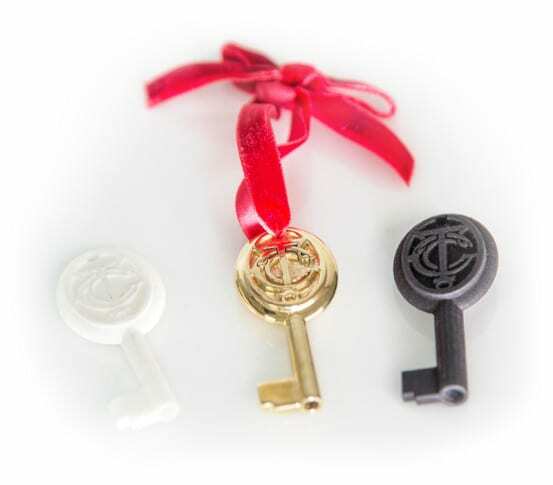 3D printing keys isn’t a unique concept – in fact Shapeways and KeyMe have joined up to print house keys. But what if you’re looking for a key for something different… like say, a train? 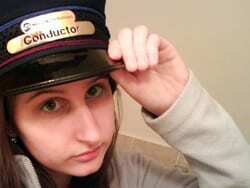 Maybe a Metro-North train? 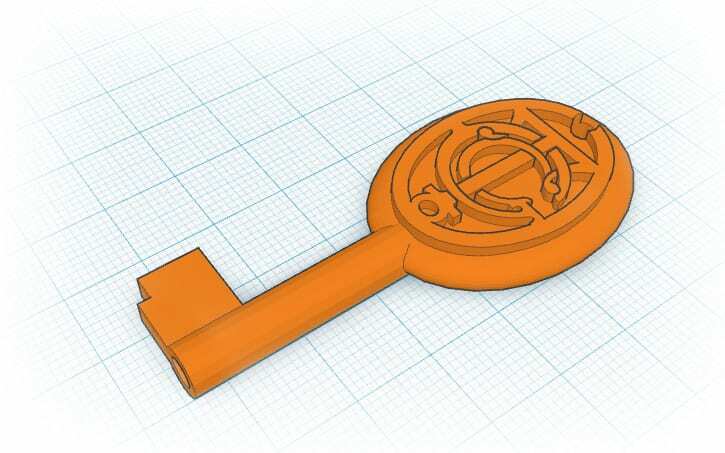 The key was modeled in 3D using Tinkercad, and then 3D printed using Shapeways. These days railroad keys aren’t made in brass, but historically they were made in that material, and I figured it would be perfect to create this key. Polished brass is still a trial material at Shapeways, but considering how awesome this key looks, you’d probably never know. 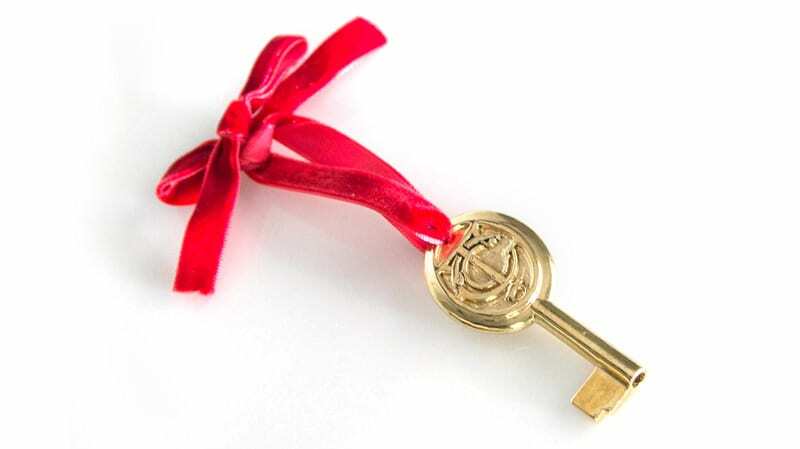 With a red velvet ribbon and pouch, the key is ready for gifting. 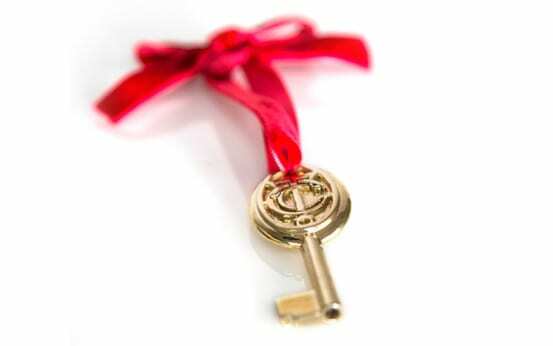 Though the key does work on trains, most likely it will only be used for decorative purposes so it doesn’t get lost. 3D Printed in Colored Sandstone, this little item can be used as a pendant, keychain, or decoration. I’ve used it in the past as a fancy tag for a gift. It features the constellation Pegasus from Grand Central’s sky ceiling. 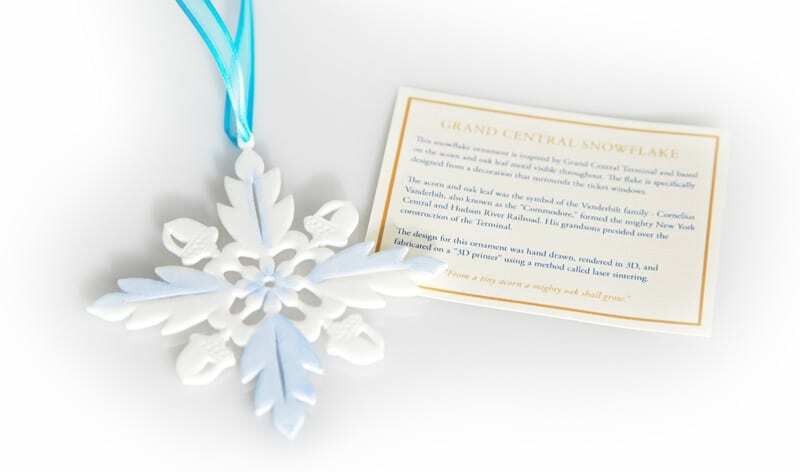 This snowflake ornament is modeled after the acorn motif found throughout Grand Central Terminal. 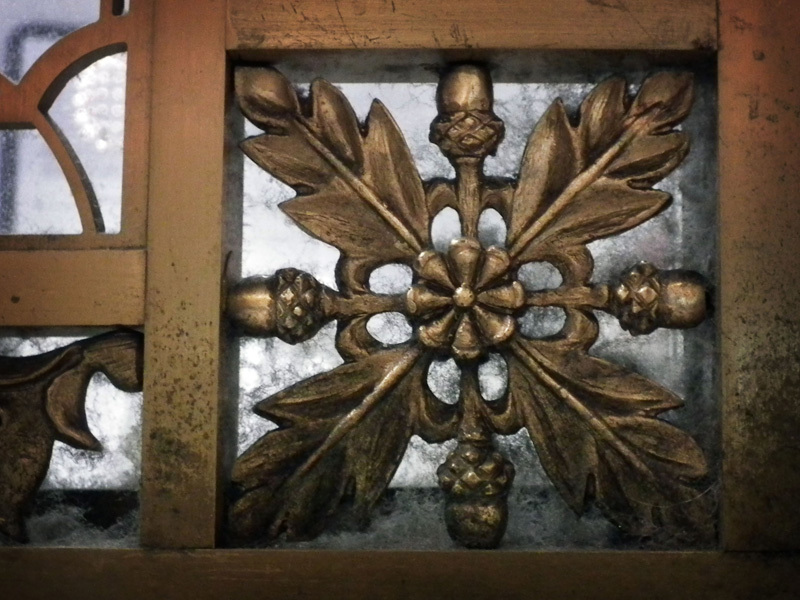 Acorns are found throughout the Terminal as they were the adopted “crest” of the Vanderbilt family. This specific design can be found embellishing the ticket windows. While 3D printing is already changing model railroading – Shapeways has a category devoted to it, and companies like Flexiscale are producing kits using parts fabricated on 3D printers – it is always fun to create something railroad related for the “real world.” Though 3D printing has immense promise in allowing the masses to fabricate things they could previously only imagine, and creating things that were previously impossible, it is also interesting to take an already functional object and make it more attractive. Suffice it to say, nobody was thinking about how pretty a railroad key would be when they were first designed. 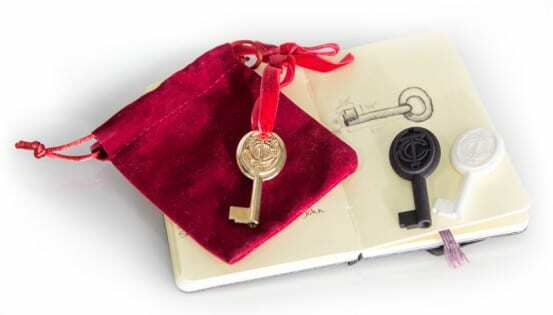 Now we can have both – a working key fit for Grand Central Terminal’s centennial. That’s a lot neater than my big , brass NYC switch lock key, which I lost or turned in, back in 1968. Lighting up the New York Central Building, and Happy Holidays from The Harlem Line!